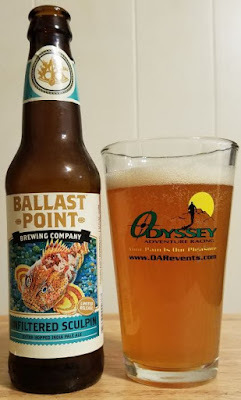 Here's a megaset of Ballast Point reviews. Not the normal six, this is a mixed twelve-pack. 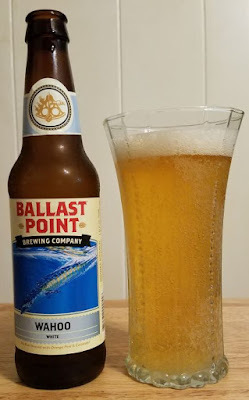 Wahoo White is a typical wheat beer. It pours cloudy yellow with lots of carbonation and an average head. The smell is of lemon mild cereal malt. 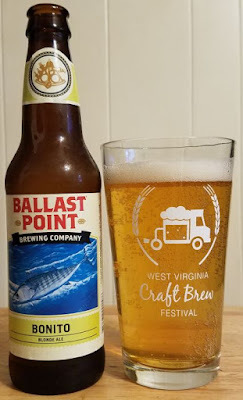 The taste is more of the lemon and malt, a little bit of floral hops, and that usual sweet, banana like wheat beer quality. OK, whatever. There’s nothing wrong with Bonito Blonde Ale, but it isn’t memorable. It pours slightly cloudy yellow with an average head. The aroma is mildly citrus hops and a creamy malt, some notes of straw and bread are there too. The flavor is all of that, and there’s a little hoppy zing in the finish. It’s fine, but I don't want any more of it. I think that Sea Rose, a tart wheat ale, is just right. It’s crisp and light and very refreshing, the ABV is low, and this thing could become a favorite summertime yardwork beer for me. The color is dark pink/purple/copper colored. Somewhere on that spectrum. The aroma is appetizing. 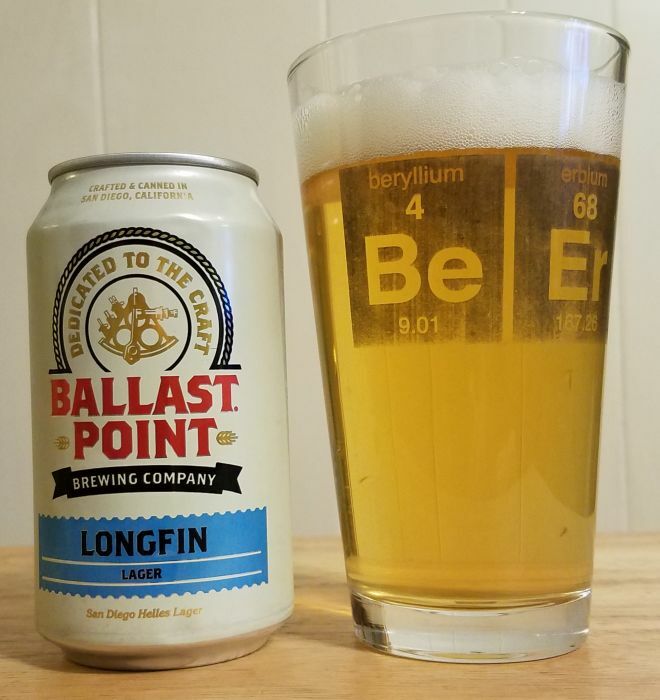 It reminds me of a light wheat ale, a cherry tart, and a little bit of lemon. That’s the flavor, too. The finish is a little more tart, a little bright, and really nice. I enjoyed every drop. Nitro Red Velvet is a golden stout. It's an interesting experiment, but ultimately not very good. It pours more copper than red, and there isn’t much foam. The aroma is mild vanilla, sweet malt, some citrus. The flavor reminds me of overly sweetened candied yams. I don’t pick up on the promised ancillary flavors, like beets and chocolate. In fact, I don’t pick up on anything I enjoy. This is kind of a crap beer. Manta Ray Imperial IPA is very good beer. It's well balanced, but still unmistakably imperial. This beer pours hazy yellow without much head. The aroma is citrus, pine resin, buttered bread. The flavor is slightly sweet and malty right at the front, but quickly turns to very big, bitter hop notes. Some onion and vinegar in the mix, too. One of Ballast Point’s best. 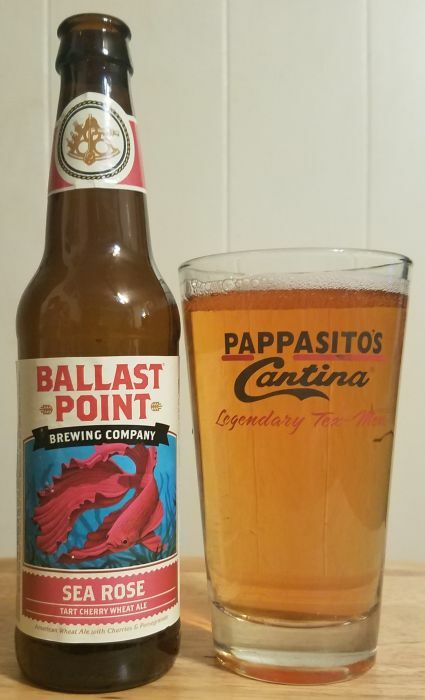 I’ve come to like Sculpin quite a lot, and I like Unfiltered Sculpin even more. It pours cloudier orange than the original version (obviously) with average foam. The aroma is tangerines and lemon and buttery malt, but it’s danker and more aggressive than the original version. That sums up the flavor, too. The finish is funky and strong. 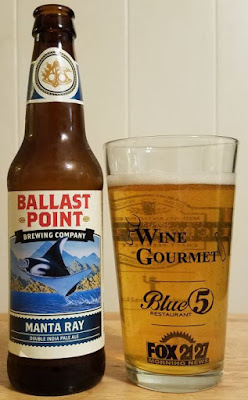 Ballast Point says this is a limited release. I hope it becomes at least semi-regular. 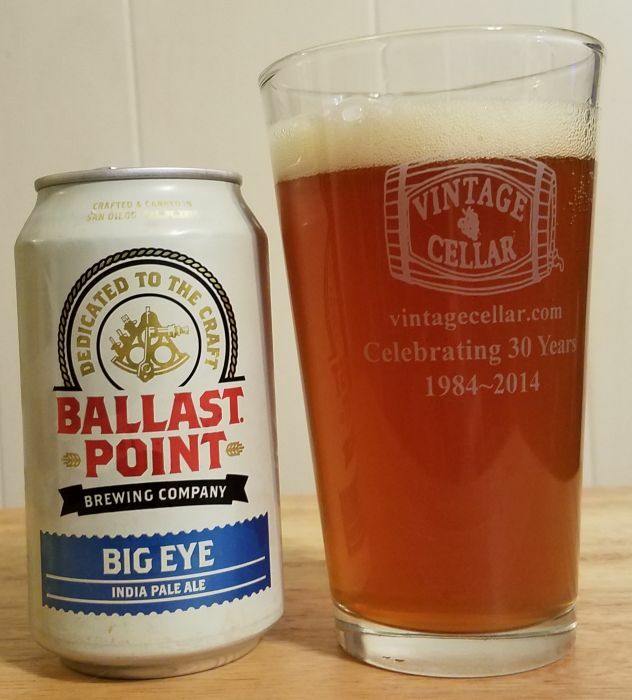 Big Eye IPA is a cloudy orange with average foam and carbonation. The aroma is slightly dank and a little malty. It’s big, but it isn't outright to the hoppy side. The flavor has that same balance... Grapefruit and malt and floral hops. It isn’t a bit bad, I could have it again, but Ballast Point has better IPAs and far better beers in other styles. Longfin Lager is a relatively run of the mill lager, and it’s too sweet for me. It pours yellow with a little foam. The aroma is standard lager. Hay, sugar, a little vanilla, a little bit of grassy hops. 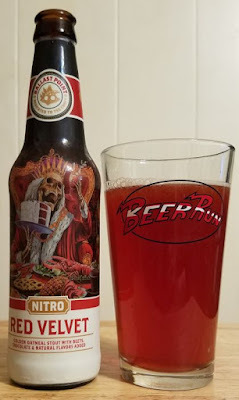 The flavor is like the aroma, but the finish is sweet enough for this beer to wear out it’s welcome with me pretty quickly. 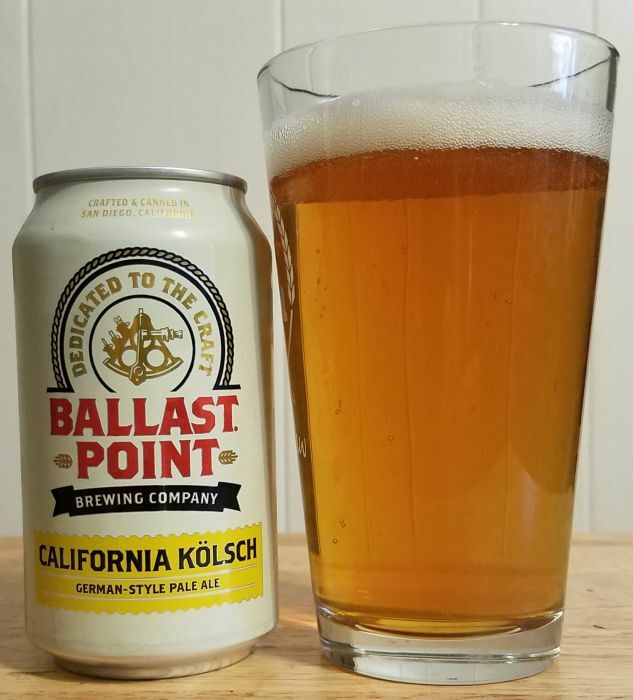 California Kolsch is actually decent. I'm not a fan of the kolsch style, so I like it more than I expected to. It pours clear yellow/orange with a quick fading bit of foam. The aroma is to the malty side, sort of a just slightly sugary vanilla, plus notes like roses and citrus. The flavor is slightly malty, too. Not overly malty, but this beer isn’t a hop explosion. I could drink this again. Tart Peach Kolsch isn't really as good as the original California Kolsch. I don't think the tart peach adds anything. It still pours clear yellow/orange with a average to sligght head. The aroma is still malty and floral, but the tart peach notes are there. Maybe a bit too much. It seems like artificial flavoring. It works a little better in the flavor. 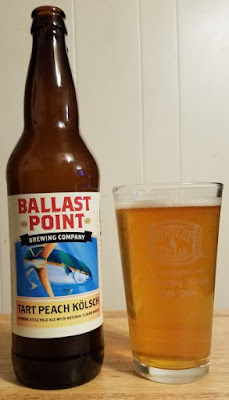 Slightly malty, slightly grassy, and the peach is slightly tart as promised. 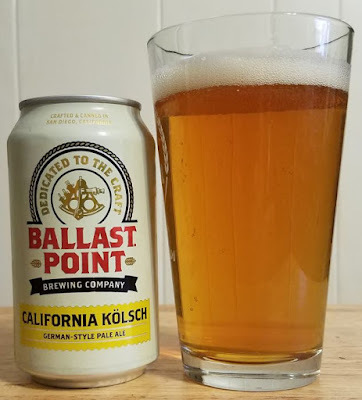 But I liked the original California Kolsch better, and found it more surprising. 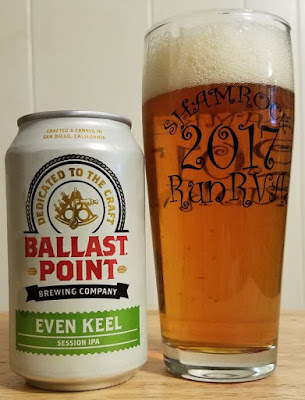 For a session ale, Even Keel is actually pretty good. It pours orange with a lot of foam. The aroma is citrus and grassy/floral hops. The flavor is actually ... well, the flavor is there. You can taste it. There isn’t a lot on the front, but the finish is a pretty drinkable mix of malt and hops. Most session ales close like water. This one closes like beer. Hell, it actually tastes like an IPA. I like it. 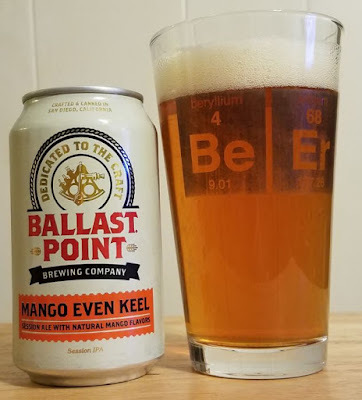 I think I like Mango Even Keel every bit as much as regular Even Keel. It pours clear, bright orange... maybe a little more of a copper color than the original, with a fair amount of foam. The aroma is citrus hops, and the mango is there in the aroma. It smells like something really refreshing. That’s how it tastes, too. 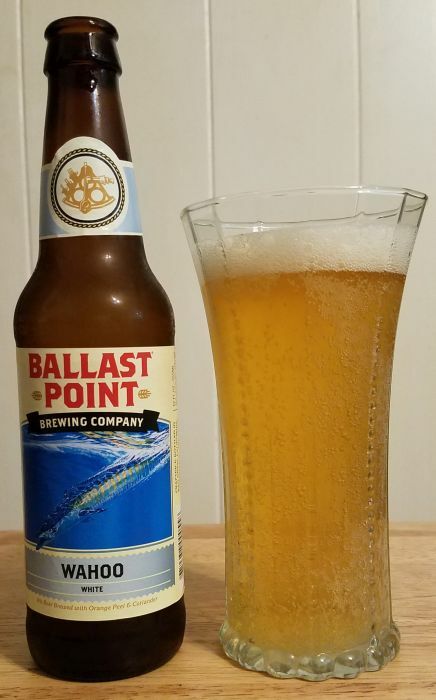 Bright, clean and crisp citrus, and more of the mango on the finish. I can’t complain one bit about this beer. I may even drink more of it over the summer.